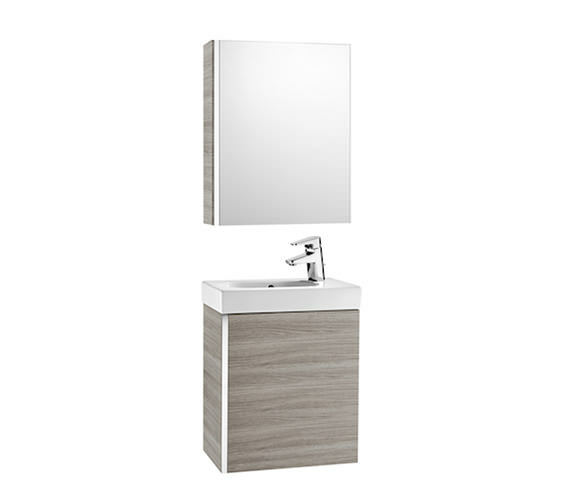 Elevate the style quotient of your bathroom with this Roca Mini Vanity Unit with Basin and Mirror Cabinet. 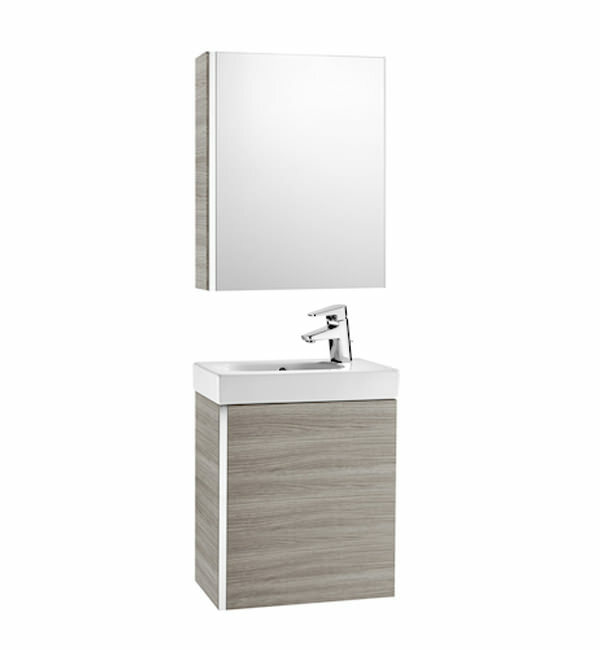 The vanity unit and mirror cabinet come in textured grey finish. 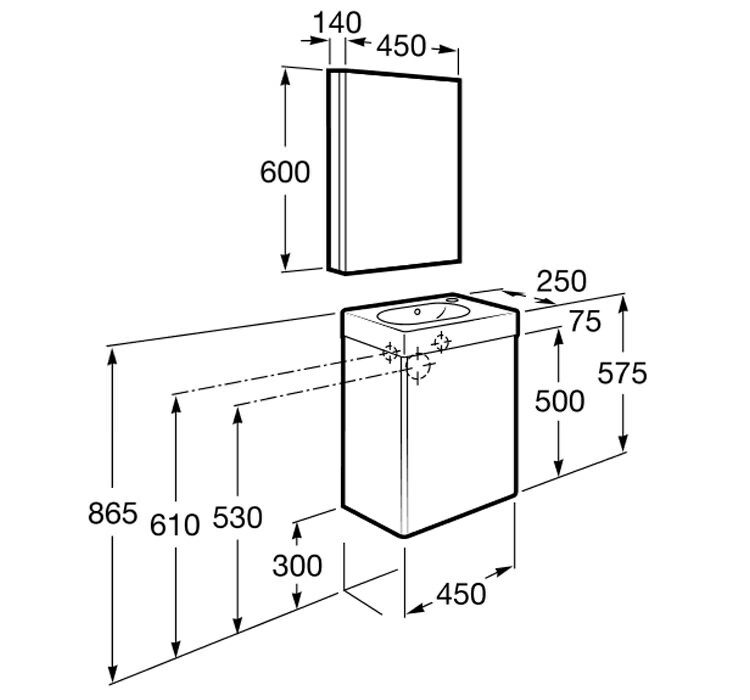 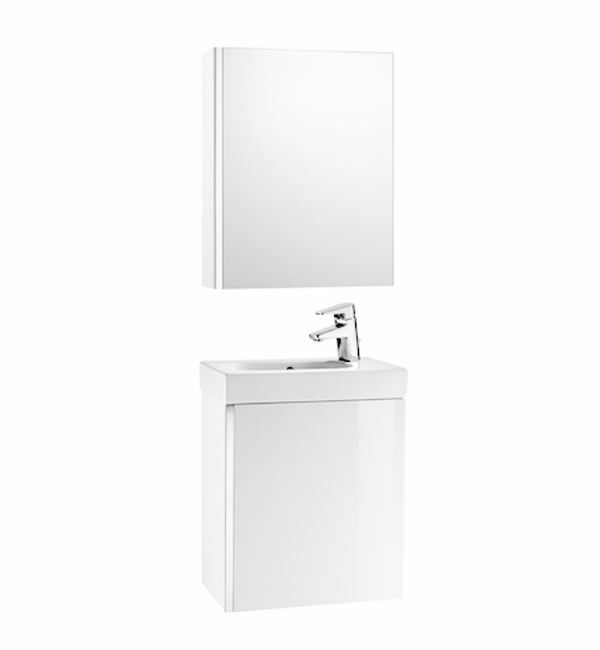 The single hinged door mirror cabinet includes two internal shelves where you can comfortably store your bathroom toiletries for easy use. 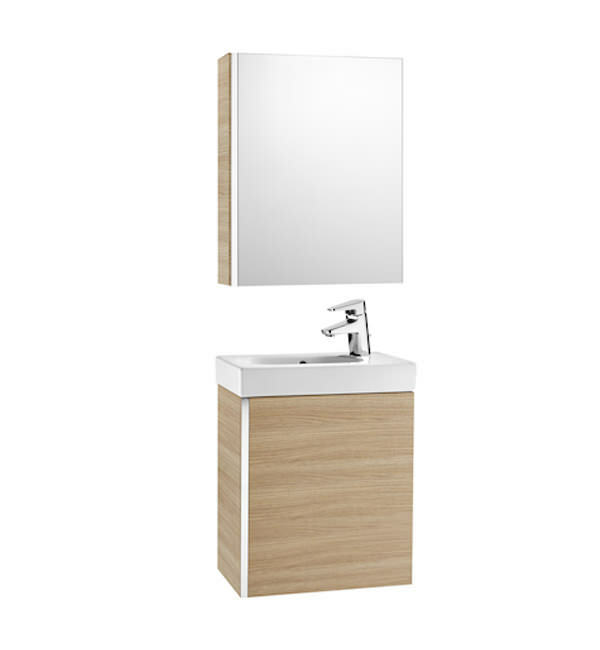 The vanity unit comes with one soft close hinged door and one internal shelf you can conveniently keep your bathrobes and other bathroom essentials. 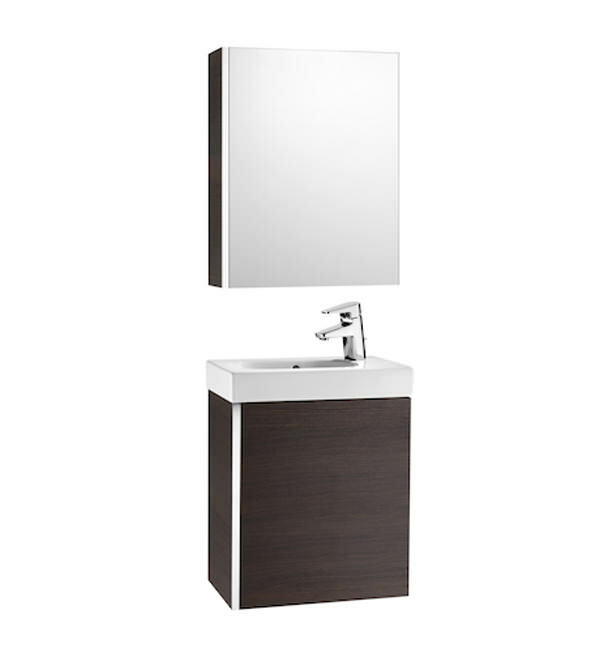 For ensuring your peace of mind, the vanity unit and mirror cabinet come with two years manufacturer guarantee and the basin is supported by 25 years guarantee.